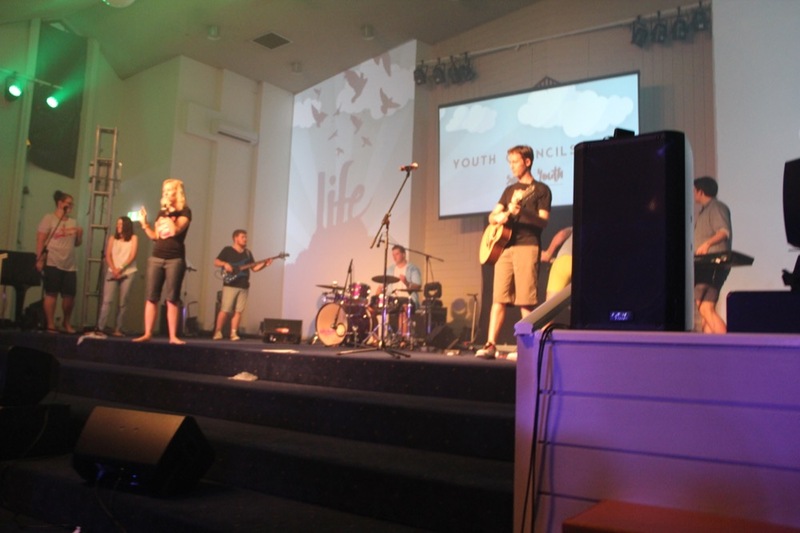 ‘Pulse’ is the new name for The Salvation Army’s NSW/ACT Divisional Youth Events. I had the pleasure of coordinating the technical team. 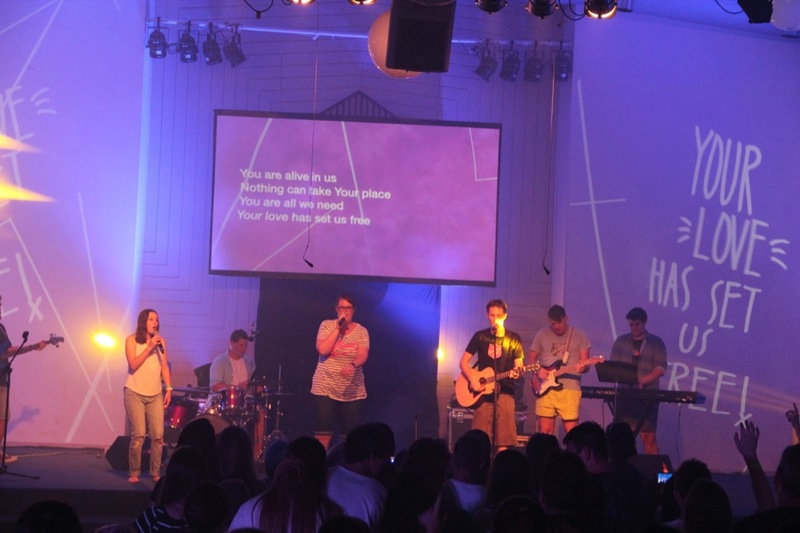 We created a contemporary environment for worship – incorporating great audio, seamless lighting, amazing projection mapping, and custom video content. The event was held at Parramatta Salvos, but we brought together a team of capable young guys from across Sydney (as far as Wollongong). Each member had a heart for the ministry, and a great attitude. I’m really proud of the results. 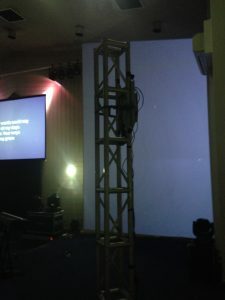 Projectors were mounted sideways on truss. The key aspect of this event I wanted to focus on was video. Specifically, I wanted to use projection mapping to “fill in” a lot of the blank visual space at the back of the stage. We use a Resolume Arena Media Server, a Matrox TripleHead2Go and Optoma 3600-lumen short-throw projectors to achieve this. Both side walls had images mapped onto them. There was also a standard 16:9 screen in the centre for lyrics and regular content. 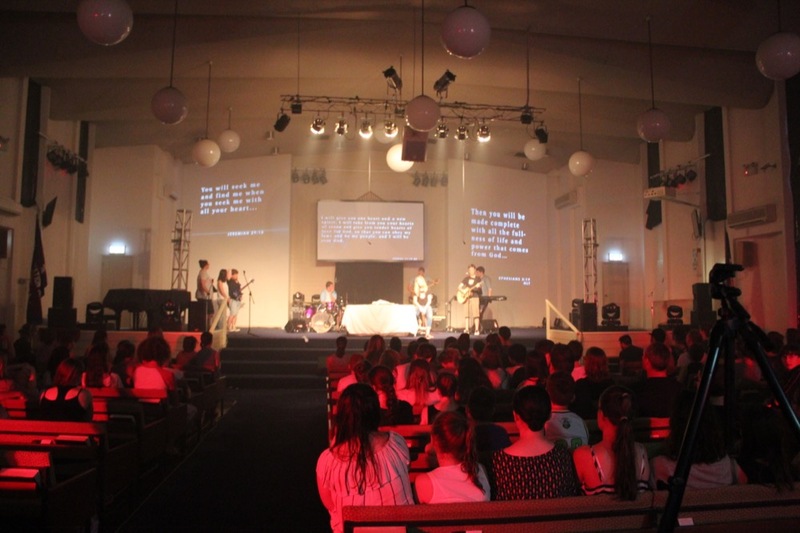 James Eden created a range of custom content to emphasise specific lyrics and themes in the worship songs. This was created in Adobe After Effects, designed specifically for our custom projection surface sizes. This content was mapped, warped and controlled via Media Realm’s new license of Resolume Arena Media Server. The walls were not in a standard ratio, and the lens and mounting combo wasn’t perfect. Resolume handled this beautifully by allowing us to warp each output separately in a very short period of time. We used a range of SDI converters and cable to deliver content from the Mac to each projector. We had external control surfaces available to make Resolume control easier. 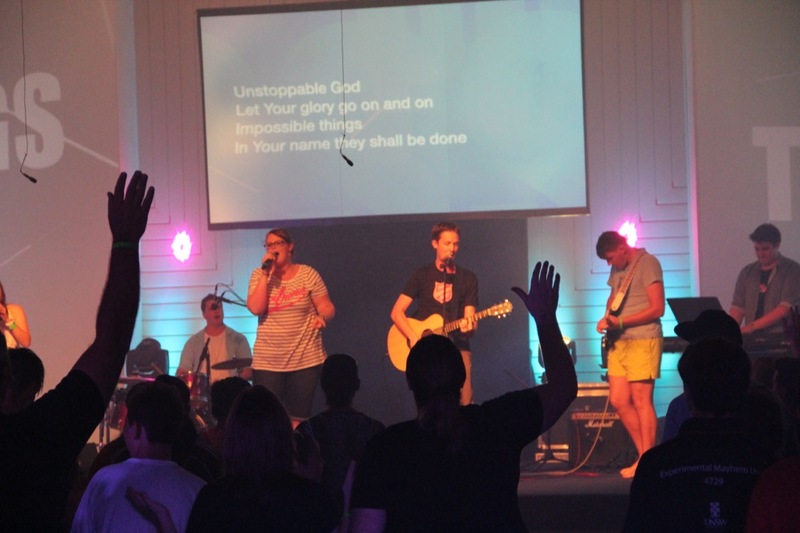 Lyrics were driven by ProPresenter 6, and keyed over the centre screen content via a Blackmagic Design ATEM. William Searle was our Lighting Director. 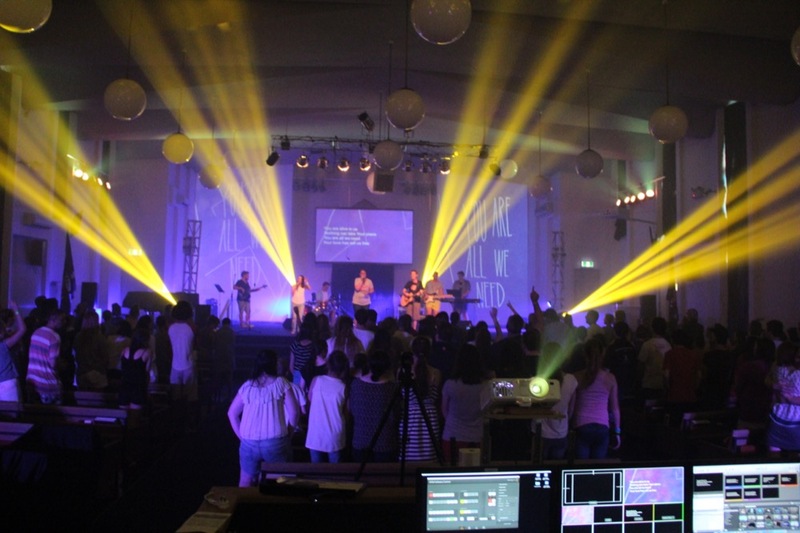 He used a LSC Clarity VX20 wing and Dell S2240T Touch Screen to control a range of fixtures. 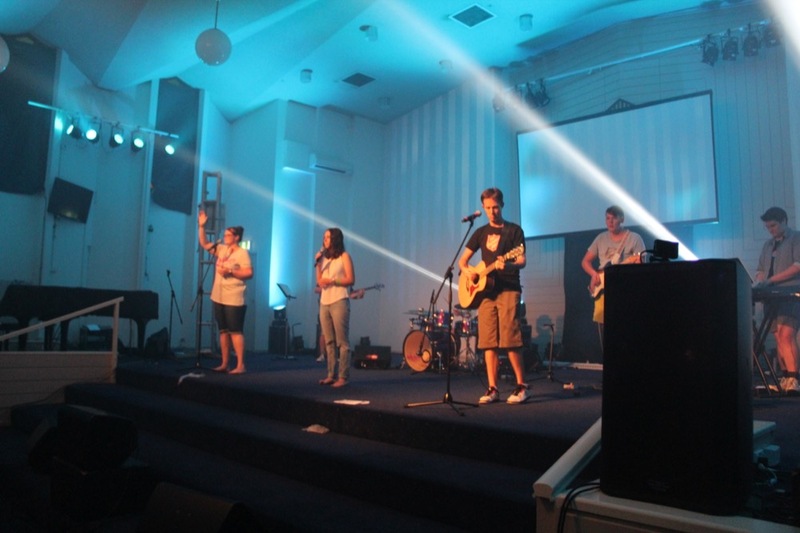 Phantos Lighting supplied a range of affordable movers, including the 5R Beam 200 and 36x8W LED RGBW wash. This was complimented by a range of other conventional and LED fixtures supplied by Media Realm and available in-house. The room has a large number of full-height windows, so to blackout these windows and create a dark space we covered them all in Builders film from Bunnings. Such a simple and cheap solution! Most audio equipment was available in-house. 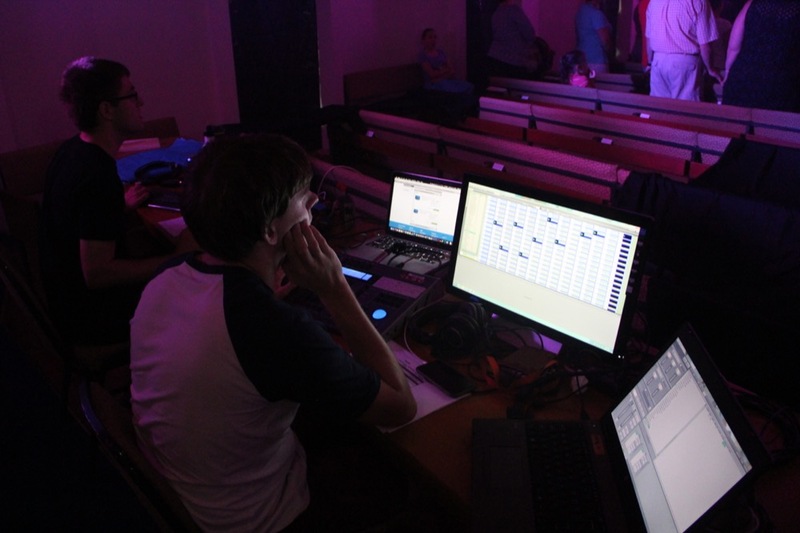 This included an Allen & Heath GLD-80, Shure ULX-D radio mics and QSC K-12 front of house spekers. Media Realm supported this by sourcing a range of additional microphones, speakers and cabling. I had the pleasure of tuning the PA in December for a Christmas event, and mixing the band the day before at rehearsal. Bailey then did an amazing job of bringing this mix to the next level on the day of the event. 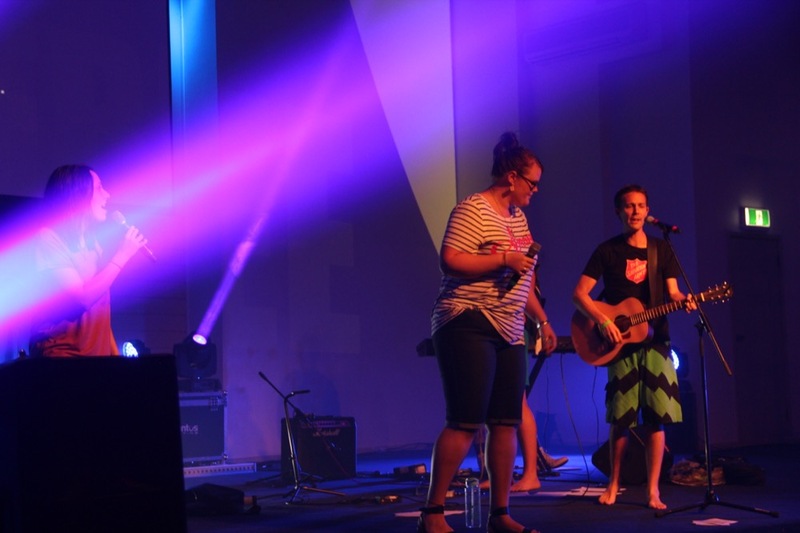 I was really blown away by the genuine heart for ministry held by every member of the team. They were driven to clearly and creatively communicate the gospel. I had great feedback afterwards, and multiple people noted the production didn’t distract but instead added to the worship and teaching. This, to me, is the greatest compliment. This isn’t to say other fellow tech’s don’t have a heart for what they do. In fact, I have the absolute pleasure of knowing stacks of church tech volunteers who are absolutely passionate about what they do and are in it for the right reasons. However, something about this team ‘just worked’. It left me blown away with the results, and wanting more. I always love working on events for The Salvation Army, and I can’t wait for the next opportunity!